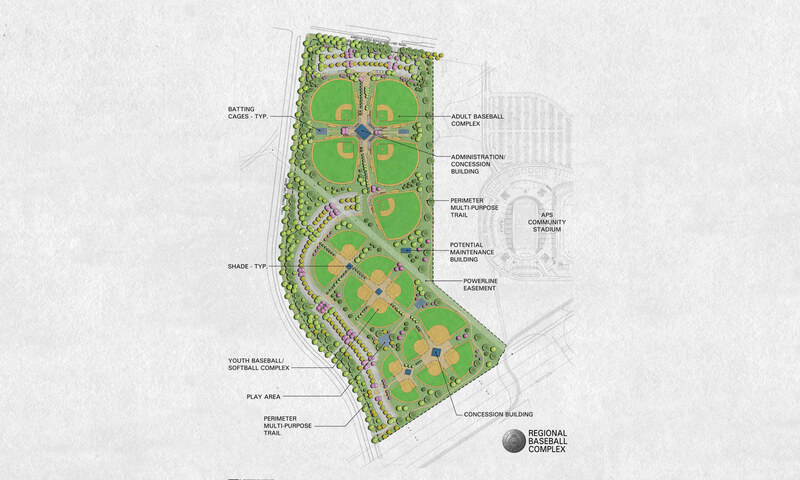 Consensus Planning is working with the City of Albuquerque on the 81-acre baseball complex located on Albuquerque’s west side. The project started with Consensus Planning securing the entitlements for the facility through the Environmental Planning Commission approval process with new zoning, a Master Development Plan for the entire facility, and a Site Plan for Building Permit for Phase 1. 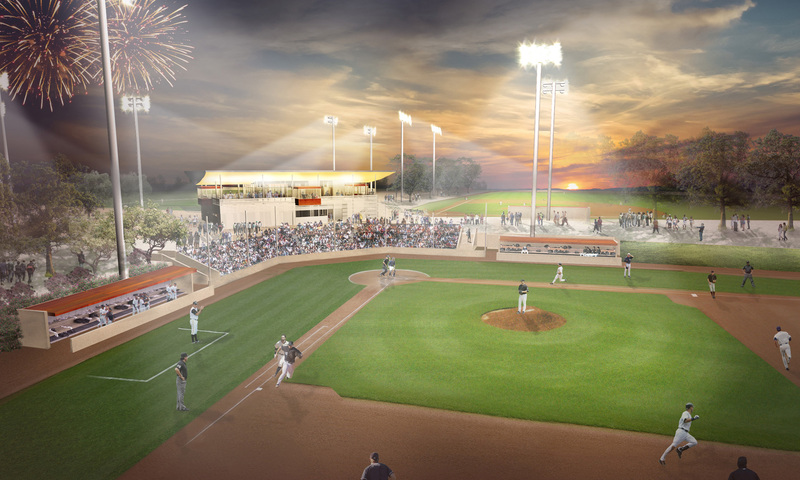 Consensus Planning is currently leading the design team in developing the program and site plan for the complex, which will include in Phase 1: five adult baseball fields, lighted with a synthetic turf surface; two-story administration building with recreation services offices, concessions, restrooms, umpire locker facilities, meeting room, press boxes, and open viewing terrace. Future phase(s) will include development of 12 additional youth oriented baseball and softball fields of various sizes. Other amenities and facilities will include a children’s play area, picnic facilities, perimeter pedestrian trail, and a satellite maintenance facility for the Park Management Division. Extreme grade change across the site of nearly 50 feet afforded the design team the ability to layer the fields and create dynamic viewing opportunities. The development of the Albuquerque Baseball Complex will enhance Albuquerque’s economy, attracting sports tourism dollars through regional and local tournaments. Client: City of Albuquerque, Parks and Recreation Department. Year: Current.